I learned a new lesson. Do not glue wood while tired. 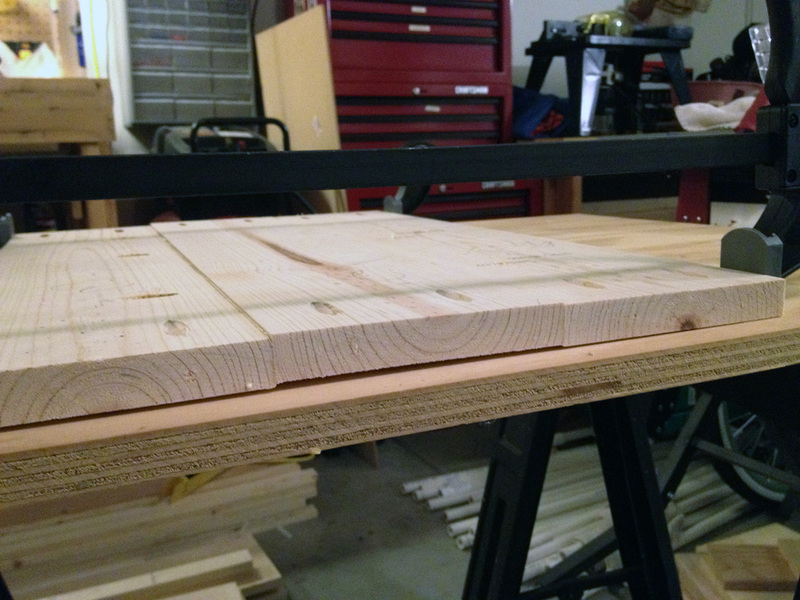 I figured that I would get a step up on the hall tree build and glue some boards together tonight. 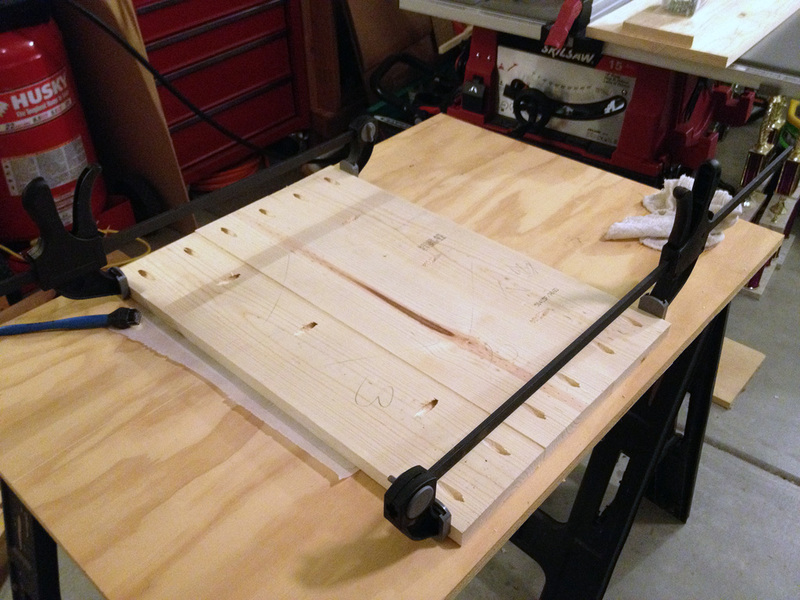 I wasn’t thinking and didn’t clamp the wood down to the bench before I drilled in the pocket holes and the wood drifted. I hate it when that happens. The good news is that the boards I glued together go behind the cubbys and nobody will ever really see them. I’m hoping that I can just sand the hell out of them and even them up. Once again, this is the main reason I am using cheap wood. So I can make mistakes like this.